I’m guest blogging over at Rough ‘n’ Rede today. I met George Rede when he recruited me to be a community blog partner with the Oregonian News Network. We later came to find that we have a lot of neighborhood connections. I’m honored to be guest posting on his blog. The topic? The Empty Nest. It’s what I’ve been thinking about the past couple weeks since Ryan left for school. Enjoy! This little one left, too. This entry was posted in Blogging and tagged empty nest. Bookmark the permalink. 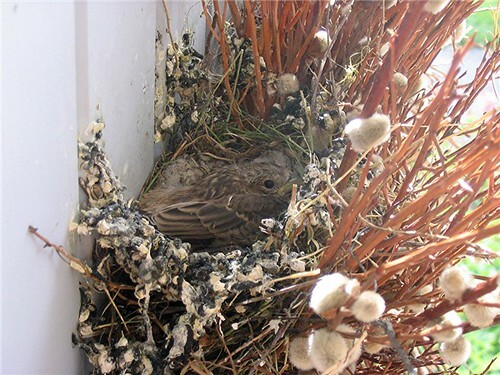 The picture is from 2007; we had a bird nest on the porch. The last bird took a while to leave the nest.